Northumberland County sold the jackpot-winning Mega Millions ticket with an annuity value of $153 million for the Tuesday, July 21, drawing. 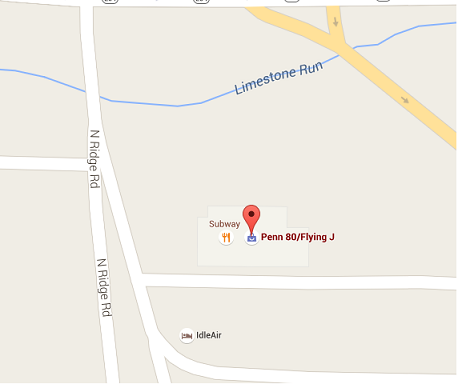 The ticket was sold at Penn 80/Flying J Travel Plaza, 1460 N. Ridge Road, Milton, Pennsylvania. The retailer will receive a $100,000 bonus for selling the winning ticket. The winning ticket had perfect combination that correctly matched all five white balls, 20-30-62-65-74, plus the Megaball, 01. The ticket has an annuity value of $153 million or a cash value of $91.7 million, less 25 percent federal withholding. This is the Pennsylvania Lottery’s second jackpot-winning Mega Millions ticket since joining the multi-state game in 2010. The first was a $149 million annuity value jackpot sold for the May 20, 2014, drawing. It was claimed several months later by a couple from the Pittsburgh area who took the $86.8 million cash prize. This jackpot prize must be claimed and the ticket validated before Lottery officials can identify the winner. Pennsylvania Lottery Mega Millions winners have one year from the drawing date to claim prizes at Lottery headquarters in Middletown, Dauphin County. Mega Millions winning numbers for Tuesday, July 21, 2015 are 20, 30, 62, 65, 74. The Mega Ball number is 01. The Megaplier number is 05.